While looking into the mirror have you notice new forehead frown lines or crows feet? 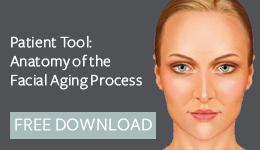 Are you concerned by these early signs of aging? If so Botox TM may very well be what you need and have been awaiting. Do not be surprised if some of your friends have already undergone Botox injections. 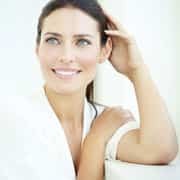 Over the last several years Botox treatments have become so popular in the United States that they are now the most commonly performed cosmetic, non-surgical, non-invasive procedure of any kind. Botox provides an exciting avenue for facial rejuvenation by improvement and temporary softening or elimination of lines and wrinkles without a surgical procedure. When we frown, we gather tissue between the eyebrows into a fold. In some of us, this muscle activity causes a chronic, ever deepening furrow that produces a frustrated, discouraged, or even an angry look on our face. 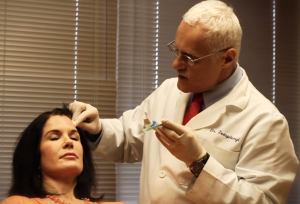 As a facial plastic surgeon Dr. Zemplenyi is very knowledgeable about facial muscular anatomy and is very experienced with Botox injections, as he has been using this substance since 1990′s — long before it was so popular as a cosmetic procedure. As opposed to some offices, Dr. Zemplenyi carefully performs Botox treatments himself injecting it with tiny needles and usually with minimal discomfort. No anesthesia or recovery are needed. Patients lose no time from work or social activities. If any bruising occurs, it resolves quite quickly and may be easily covered up with make-up. Uncommon problems with Botox, if any, resolve shortly and spontaneously. Repetitive, regular treatment with Botox is recommended for the best effect, especially as some patients are eventually able to increase the intervals between the treatments when the forehead and other injected muscle groups become weaker. At the Bel-Red Center our charges for Botox treatment are determined by the exact amount of units of Botox injected in contrast to the less precise method of treatment by zones or areas such as the forehead, crows feet, etc. Botox treatments are most useful in the upper one third of the face as they improve frown lines on the forehead as well as the crow’s feet. Small amounts of Botox injected into the muscles of the forehead and the crow’s feet region result in a temporary block of nerve impulse transmission to the muscle thus weakening of these muscles. This muscular weakening significantly flattens the frown lines and creases. The effect lasts about three months, and re-injection at regular intervals is needed to maintain the desired effect. In small quantities, Botox may also be used to soften the “smoker’s lines” of the upper lip and the muscles of expression around the mouth. However, Dr. Zemplenyi often recommends and uses Cosmetic fillers such as Restylane and Juvederm in conjunction with Botox as these are more effective for treatment of folds formed on the cheeks or under the corners of the mouth. In larger quantities, Botox may also be used for the weakening of the strong platysmal “turkey neck” bands that occur with the aging of the neck. However, generally Dr. Zemplenyi recommends other surgical procedures such as a neck lift/facelift for this application as this may represent a more cost-effective, long term solution in many patients. Dr. Zemplenyi successfully uses Botox in other applications. In many women Botox injections decrease on the frequency and intensity of tension headache, neck aches and migraine headaches, teeth grinding (bruxism) and other muscle spasms. Botox injections may be used to decrease excessive underarm perspiration(axillary hyper-hydrosis). New applications for Botox are being actively explored by Allergan and many investigators. Relative resistance to Botox A treatments occurs in some patients requiring higher doses of Botox or a need to switch to an alternative substance such as Myoblock (botox B). Does insurance pay for Botox treatment? Insurance does not pay for cosmetic, wrinkle reducing, Botox treatment. Chronic migraine headaches or problems which impede normal function may be covered by insurance. It is important to ask your insurance company about benefit coverage. How much does Botox or neuromodulator treatment cost? The cost of Botox treatment can per unit of neuromodulator used or per area treated. This will be discussed at the time of consultation. Can Botox treatment be combined with other procedures? Botox treatment can used along with fillers for rejuvenating effect. Botox can soften wrinkles while fillers will fill hollows of volume loss. Facelift or other surgical procedures can also be used with neuromodulator treatment for further rejuvenation. How long do the results from Botox last? The effects of Botox last about three to six months. As the effect wears off, muscle function gradually returns and wrinkles become more apparent. To suppress wrinkle formation Botox should be administered about every three to six months. What are the side-effects of Botox? The most common side effect of Botox treatment is temporary bruising. There can also be some swelling and headache. A small percentage of people can develop drooping of the eyelid due to the spread of Botox from the injection site. What is Recovery after Botox treatment? After Botox treatment regular activities can be resumed and no special rest is required. What can I expect during the Botox Procedure? Before your Botox or Xeomin or Dysport treatment you will be asked to delineate the areas of concern. The neuromodulator is then injected into those areas with an extremely fine needle so it does not require anesthetic for pain control.. The wrinkle smoothing effect of the treatment will not be immediately visible since Botox, like all neuromodulators, requires three to seven days to take effect. The treatment generally takes less than half an hour, and can be done over a lunch break. How can I prepare for Botox treatment? Aspirin and anti-inflammatory medications should be stopped two weeks before treatment to reduce bruising. What kind of anesthesia is used during Botox treatment? Botox treatment is injected with extremely fine needles so anesthesia is not required in most cases. To further minimize discomfort, Dr. Zemplenyi uses a hand-held wand for vibratory anesthesia to dull any sensation of injection. If requested, topical anesthetic and cooling can be used. Individuals who would like a younger look around their eyes and forehead can use Botox, Xeomin or Dysport to soften the lines that form with aging. Crow's feet around the eyes and frown lines on the forehead are ideal areas for Botox treatment. Lines on sun-damaged skin or from gravity will not be improved with Botox treatment. Women who are pregnant or breastfeeding should avoid treatment. Botox is a purified protein which relaxes muscles by preventing transmission of nerve signals to the muscle. Xeomin and Dysport, like Botox are neuromodulators derived the same protein, which prevent muscle contraction and thus smooth out wrinkles. It is the repeated contraction of muscles that causes wrinkles and creases to form. Neuromodulators will not improve lines from sun damage or gravity. Besides cosmetic uses, neuromodulators are also used to alleviate migraines, jaw pain,severe underarm sweating, uncontrollable blinking and, maybe, even depression.